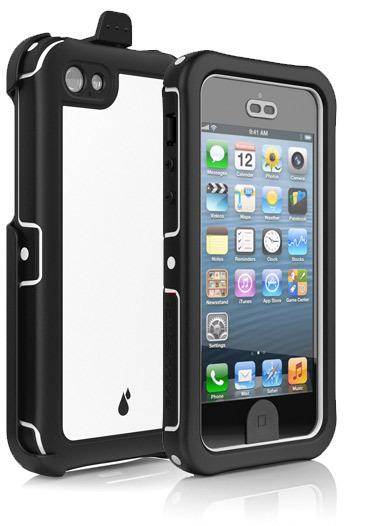 My favorite people behind rugged iPhone cases have provided me with their latest waterproof case, the fine folks being Ballistic and the case at hand is the Hydra Series. Ballistic is one of the few cases in which I am comfortable tossing at someone unknowingly to them and watching said person spaz trying to keep my phone from hitting the ground. Being this is a waterproof case, I would not suggest this display of rugged, unless you want to water test after each impact. A bit about the Hydra, it is Ballistic’s “Designed To Survive Life” case designed to withstand water, dust, and impact (to an extent), so it is time to see what all it is capable of. To start, being a waterproof case, the Hydra is pretty low profile and I would say it is comparable in size to the Lifeproof case. The ports are easier to access and do not have plugs that are easy to misplace. Installation and tear down are easy as long as you have some finger nails to get up underneath Active Latches that are used to keep the case waterproof for 30 minutes in up to 7 feet of water. On top of handling the elements, the case is also built with butterfingers in mind as it can withstand drops of up to 8 feet, by way of the Air Gap Suspension Springs that surround the phone in 1mm of air. The downside and there was only one that I encountered during use was touch sensitivity, as I had to press on the screen significantly harder for my phone to detect my input, which also slowed down my texting speed and made for even more interesting autocorrect issues. The Hydra Series is a great all weather/abuse ready case for anyone that sees more places than an office, car, and apartment or house. With this case, I took my phone anywhere, floating in the pool and riding my bike/ATV/skateboard with no worries of it taking a fall with me or if accidentally splashed or knocked in the pool, I was safe. It is highly suggested that if your phone take a dive onto a hard surface, you need to perform a water test, but it only takes five minutes and is well worth the peace of mind. 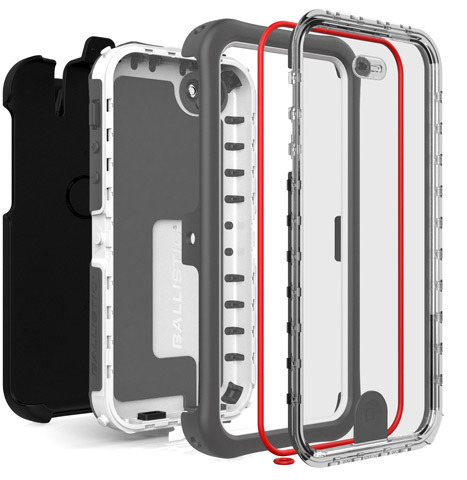 Ballistic’s Hydra Series case is available now in a variety of five different color combinations at the price of $79.99.